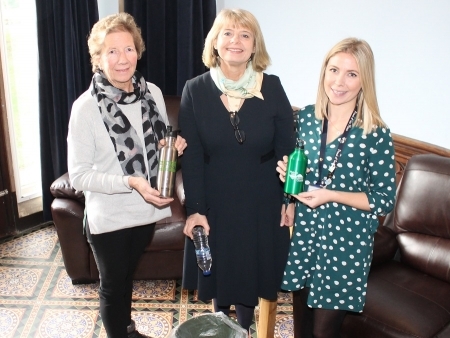 West Worcestershire MP Harriett Baldwin has offered her support to a scheme which means local people can refill their personal water bottles rather than use single use plastic bottles. The scheme, which is being adopted by Malvern Hills District Council, encourages local businesses to allow people to fill up their own bottles with tap water. Harriett met with Councillor Bronwen Behan – who is responsible for the environment at Malvern Hills District Council – to talk about how the scheme can be rolled out in Malvern, Tenbury and Upton-upon-Severn. The council will shortly be calling for businesses to take part and a formal launch is expected in May. Harriett commented: “I’ve been aware of the refill scheme since last summer and I was keen to see local councils take up the initiative and get businesses involved. “It is really important that we reduce our dependence on single use plastic bottles and this is a great way to help people fill their own re-usable water containers. “I’m hoping that local shops, pubs and restaurants come forward to take part which will have the added benefit of increasing footfall on the high streets and at tourist venues. Councillor Bronwen Behan, responsible for Environment on Malvern Hills District Council, added: “I’m pleased Harriett is shining a spotlight on this issue as there are 7.7billion plastic bottles used across the UK every year and a large proportion of them end up as litter on our streets or pollution in our oceans. The refill scheme already operates in some major towns and cities and locations for refilling a water bottle can be found by using a mobile phone application. Malvern Hills District Council is developing a network and will be contacting local businesses in the coming months to source partners. Photo: Councillor Bronwen Behan, responsible for environment on Malvern Hills District Council, West Worcestershire MP Harriett Baldwin and Sophie Jackson, Community Services Engagement Officer Malvern Hills District Council.